GREEN BAY (WLUK) -- The public is invited to welcome a newly-appointed Green Bay hospitals president with a Mass. 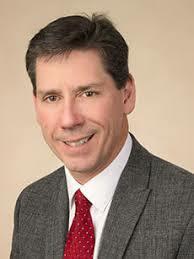 Brian Charlier took over as CEO of HSHS St. Vincent and St. Mary's Hospitals on Jan. 1. A Mass will be held in his honor, Tuesday, Jan. 22 at the HSHS St. Vincent Hospital chapel at 5:30 p.m. Most Reverend David L. Ricken, DD, JCL, Bishop of the Diocese of Green Bay will celebrate the Mass.